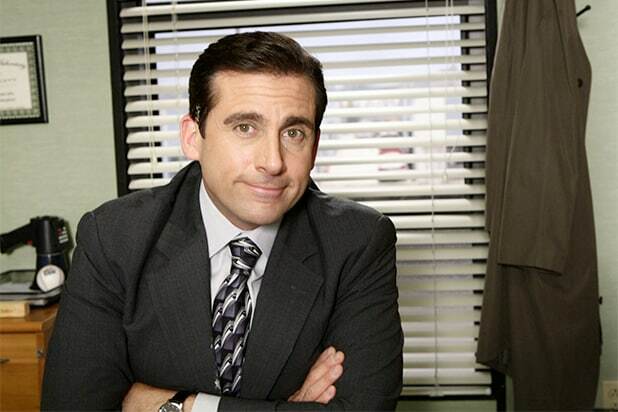 "The Office" (U.S. version) If someone told me that there was a study that said looking at Steve Carell’s face for 10 seconds elevates your mood, I’d believe it. A beloved comedy classic, “The Office” is filled with dopey characters, hilariously awkward mockumentary moments, and a whole lotta heart. 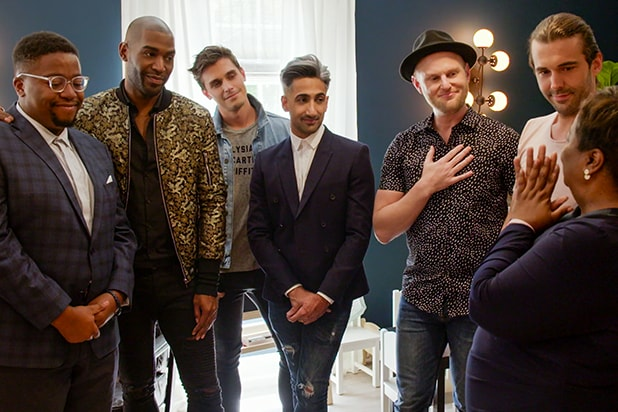 "Queer Eye"In the Netflix reboot of “Queer Eye for the Straight Guy,” a group of lifestyle experts known as the Fab Five travel around Georgia to fix up both men and women, designated “heroes.” Grooming expert Jonathan Van Ness has the uncanny ability to make anyone fall in love with him, even the most curmudgeonly of heroes. Stream now for instant smiles. "Unbreakable Kimmy Schmidt"Pinot Noir, spectacular, a little bizarre ... New York City through contagiously positive Kimmy Schmidt’s (Ellie Kemper) eyes is a colorful cityscape filled with kooky characters. The first season especially is one to watch for a large dose of optimism. "Parks and Recreation"If you’ve been watching too many episodes of "House of Cards," or you’ve lost all trust in your government, let Leslie Knope (Amy Poehler) help. This cheery go-getter and her comrades -- which includes the always hilarious Chris Pratt -- will restore your faith in the system. "Friends""Friends" is like pizza -- familiar yet always satiating. Whatever mood you’re in, the starting measures of the theme song will always lift your spirits and your hands, ready for that iconic four-clap. "Jane the Virgin"Modeled after telenovelas and soap operas, but with fresh humor and extremely likable characters, "Jane the Virgin" represents a multi-generational, multi-racial comedy done in a smart, but never crude, way. "Portlandia"The eccentric comedy of Carrie Brownstein and Fred Armisen inflates small subjects such as spicy sushi and home DNA kits into outlandish situations. The reality of the show is that it's completely surreal, and Portland is a picture-perfect setting to immerse yourself in when grittier shows or movies set in Los Angeles or New York get to be too much. "House Hunters"This HGTV show basically allows you to feel like you’ve gone to multiple open houses without having left your couch. 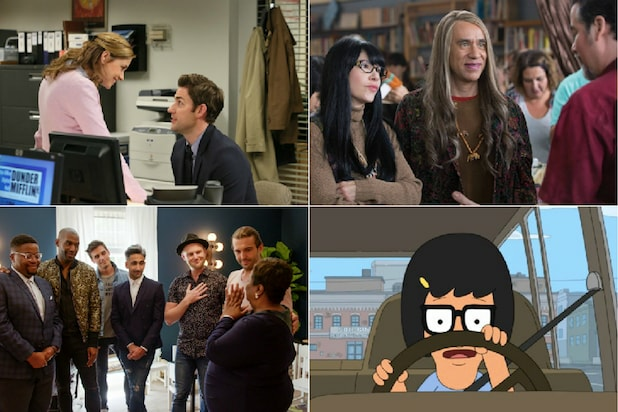 Plus, the ridiculously high budgets some couples come into the show with have generated several hilarious memes and make for an entertaining couple hours of television. "Gilmore Girls"Stars Hollow -- a town teeming with life and tradition -- is home to one of the most endearing mother-daughter relationships on television and is a cozy escape from reality. Rory Gilmore, played by the eternally ageless Alexis Bledel, makes us all want to snuggle with a mug of joe and a good book. "Bob’s Burgers"Cartoons aren’t always PG -- as demonstrated by animated adult staples like “South Park” -- but this one is. "Bob’s Burgers" relies not on violence, but on quirky one-liners and hilarious voice-acting to make an impact, making it the perfect comfort blanket to swaddle yourself in at night. "Brooklyn Nine-Nine"This cop comedy was so beloved by fans that when Twitter unleashed its fury on Fox after they canceled the show, NBC swooped in and picked it up. Thank god, because with all the grisly crime dramas on air, we need at least one where we can watch Andre Braugher belie his character’s stoic personality with a raucous, high-pitched laugh. "RuPaul's Drag Race"The most uplifting part about this show is not the larger-than-life getups and performances, but rather the notion that even when the contestants are trading barbs, it's never malicious, just entertaining.